A 55 year old Rochester, NH man was charged with Unauthorized Use of a Motor Vehicle, Criminal Possession of a Controlled Substance 7th Degree, and Unlawful Possession of Marijuana on June 24, 2018 following a dispute with his former company. 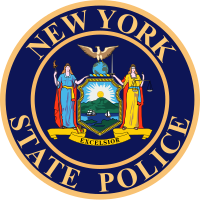 According to New York State Troopers, officers received a report of a truck driving east on I-86, being tracked via GPS by its' company. The company reported that Craig Goodman, a recently terminated employee, refused to take the truck to Chicago, IL, at which point the Troopers were contacted. The described truck was located and pulled over on I-86 in Jamestown and Goodman was taken into custody. The Troopers smelled marijuana emanating from inside the truck and located 14 grams of marijuana, two smoking devices containing marijuana residue and an E-cigarette containing marijuana oil. Goodman was processed at SP Jamestown, arraigned in the town of Ellicott Court and remanded to the Chautauqua County Jail.